Did Mass. DCF Fail 'Baby Doe'? The allegations are stunning- that a man would beat a two-year-old to death and her mother would let her daughter's body be kept in a refrigerator before she helped dump her into Boston Harbor; but child welfare experts say there are more fingers to be pointed in the death of Bella Bond. "The state dropped the ball." Greg Sullivan is research director for the Boston think tank, the Pioneer Institute. He said Rachelle Bond's criminal history, her alleged drug use and that she had had two other children removed from her home by the state should have raised enough red flags when social workers with the Department of Children and Families investigated two separate complaints of neglect against Bond in 2012 and again in 2013. Social workers provided services to the family, but then closed both cases. "That girl should have been taken out," Sullivan said. "So what went wrong? Why didn't somebody act?" Joseph Amoroso is asking similar questions. He is Bella's biological father. "My mother made a phone call twice. I made a phone call once. So there was three phone calls put in between my family and myself and cases were opened up and then they were closed," Amoroso explained. 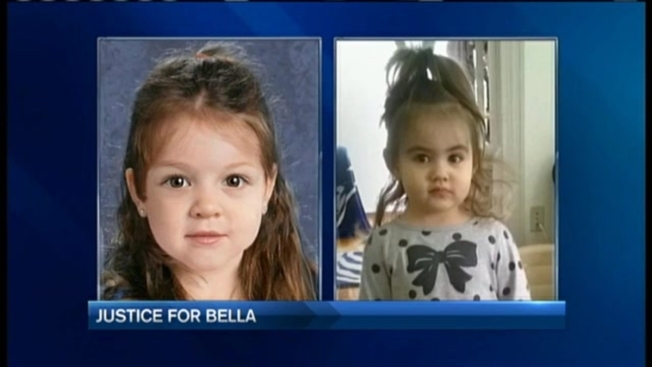 It's unclear if DCF's two tier system played a role in Bella's death. Implemented in 2009, the system divides children into high-risk and lower-risk categories. Higher risk cases which include allegations of physical or sexual abuse or serious neglect are referred to social workers who are also trained investigators. Lower risk complaints are assigned to social workers with less required training in spotting abuse who are supposed to "engage and support families." DCF has not revealed which track Bella was on. "The tragic loss of kids is horrific and it affects me deeply and personally." DCF declined our request for an interview today, but we did speak to Commissioner Linda Spears last week- before Bella Bond had been identified. She admitted her agency needs to do a better job assessing the soaring number of child abuse complaints and said they are reviewing all of their policies and procedures top to bottom. "We will be looking at everything in our system to make sure that it's working right, Spears had said. "The investigations into the recent tragedies revealed systemic problems within the department and the Baker administration is taking action to improve intake procedures, increase staffing and tackle several other reforms to how the department operates." Critics say even with an additional $18 million dollars for DCF's next budget and hundreds of more social workers hired, the agency is woefully underfunded and social workers continue to have caseloads at crisis levels- well above federal recommendations.